OLEKSANDR KLYMENKO POINTED AT OBVIOUS “SCHEMES” OF COAL SUPPLY FROM GEORGIA ⋆ News ⋆ Official website for Oleksandr Klymenko. New corruption scheme of the government on the purchase of coal in Georgia will increase the cost of fuel for Ukrainian thermal power plants by one and a half times. The difference will be paid through another increase in tariffs. It was stated by Oleksandr Klymenko, the leader of the “Uspishna Kraina” party. According to the formula, which is called “Tkibuli +” by the politician (by analogy with “Rotterdam +” ), Georgia will become new major importer of coal to Ukraine. Moreover, we will get 700,000 tons of coal from this country. However, annual fuel production in Georgia is only 420,000 tons. Thus, it is obvious that here is the introducing of the next plot with the resale of fuel. Georgian campaign “Saknakhshiri” will become an importer and will supply coal for Zmievskaya and Tripoli TPP. At the same time, terms of the contract are extremely disadvantageous for Ukraine. Thus, coal will be delivered to the ports of the Black Sea under the CIF (cost, insurance, freight). Ukrainian side will have to pay even for transportation from the port to the TPP, as well as all customs payments. Moreover, fuel will be unloaded only if “Centrenergo” pays for coal in advance (via the so-called”irrevocable documented letter of credit”). “In other words, the Public joint-stock company will have to take a loan and pay interest on it. The expenses of the current power will be transferred to consumers, as usual”, – Klymenko stressed. According to his calculations, price of a ton of fuel will grow from UAH 1800 up to UAH 2584. This fact will affect the tariffs for Ukrainians again. 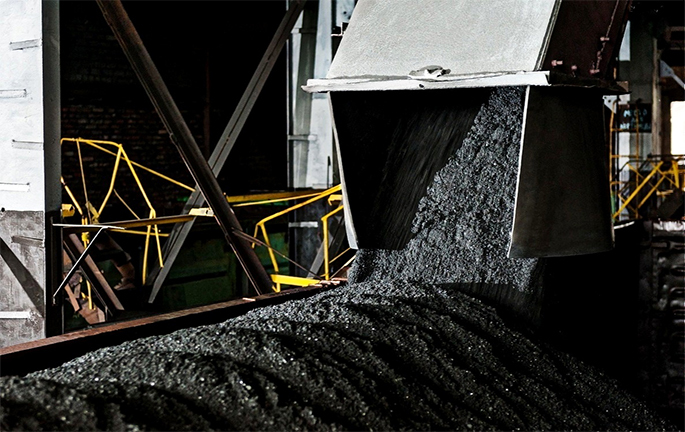 Let us recall, it became known that PJSC “Centrenergo” (78% of shares owned by the state) has determined new supplier of 700 thousand tons of anthracite coal amounted to UAH 1 billion 808 million via the transparent system of electronic procurement. It comes about the Georgian company “Saknakhshiri” from Tkibuli, which offered only UAH 1 thousand for delivery less than the only competitor – the Polish company I-Coal sp. z oboe. According to calculations of Oleksandr Klymenko, Ukraine has no alternative to Donbas anthracite. After the introduction of Donbas blockade, the country will keep on buying coal from the uncontrolled territories under the guise of American, Australian and African fuel.